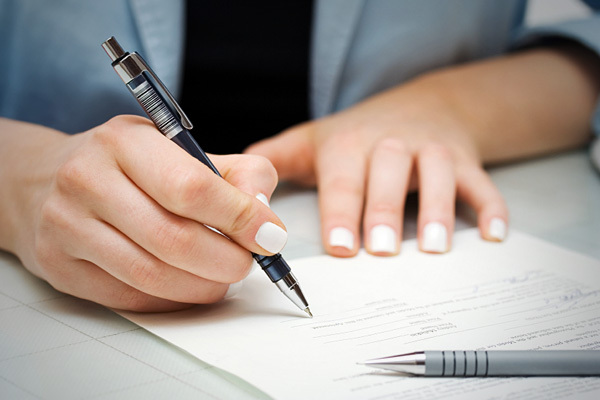 What’s an apartment Guarantor/ Co-Signer? Landlords and apartment management want one basic thing: renters that are financially stable so that they can and will pay on time. They look to your credit and rental history, your income, and your job to determine if they think that they can trust you. If they can’t, then you might need a rent guarantor to sign on your lease. A Rent Guarantor is the legal term for an apartment co-signer, or a person that agrees to be legally responsible for the apartment, its condition, and the money owed for rent. Landlords want responsible renters, yet often due to history or a lack of experience, it can be hard to justify that they will be good renters. So, they have a guarantor sign the apartment lease agreement stating that they are legally and financially responsible for the apartment. So, if the renter is unable to pay, the landlord can legally collect money from the guarantor. Most co-signer agreements result from a young adult moving out for the first time into an apartment. Because they often do not have credit or rental history, it’s difficult for a landlord to know that they can trust them, so guardians tend to be the ones that sign the lease. Being a co-signor/guarantor can be risky, so it is best to do so with very close friends or family members. Low Income: One of the rules of smart apartment living is living under the 1:3 ratio (see our rent calculator to determine your budget). In order to have a comfortable lifestyle with the ability to save, you want to find a rent that is under 1/3 of your monthly income. Landlords recognize this as well. If your rent is going to cost more than 1/3 of your monthly income, your landlord may request a guarantor on your lease. Although this is the norm, there are exceptions. For example, in cities with uniquely high costs of living such as San Francisco or New York, many landlords expect renters to have to pay more. Poor Rental History: If you are renting for the first time you are most likely going to need a guarantor on your lease, since your landlord has little idea of what kind of renter you are. Often college students renting for the first time need one of their parents to act as the guarantor. On the other side of the coin, if you have a poor reputation as a renter, you may be in trouble for future apartment search and might need someone to sign for you. If previous landlords have given you poor ratings whether it be from eviction to not paying rent on time, you will have a hard time explaining how your latest landlord can trust you. Poor Credit: Last but not least, having poor or little credit history are common reasons for needing a guarantor on your lease. Having little credit history tends to go along with renting for the first time and can eventually be overcome by just making regular payments. Poor credit, on the other hand, is more difficult to overcome. While larger apartment communities will have stricter rules on poor credit, landlords of small apartment complexes may be more lenient if you can present a good case. If you have no one to turn to for help, here are a few options to consider. Go local: Look for a smaller apartment complex or locally-owned room for rent. These tend to have slightly more flexible rules than the larger, corporate apartment complexes. Present Your Case: Do you have bad credit because of medical bills or the recession? You aren’t the only one. Many people end up with bad credit because of legitimate situations. If you can present yourself well to a landlord, you have a better chance of persuading them. Pay up front with cash: If you have a poor rental history, you may just have to offer a larger security deposit. Meanwhile, if your monthly income worries the landlord, offer to pay several months in advance. Look for Low Income Housing and Section 8 Housing: If your income is the prime reason for being unable to rent an apartment, research available low income housing and section 8 housing your area.